According to the Israeli military, eight rockets were fired at southern Israel from the Palestinian enclave. Two of them were intercepted by the Iron Dome missile defense system. At least two rockets from Gaza struck Sderot, according to police. Following the rocket attack, an Israeli drone struck farmlands near Beit Lahia in the northern Gaza Strip, the Hamas-linked Palestinian Information Center reported. No injuries were reported. 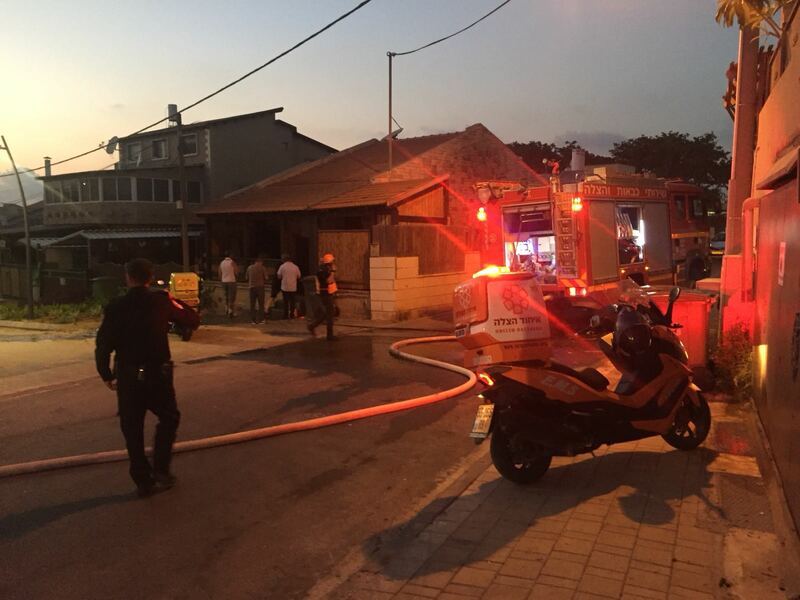 In Sderot, a 34-year-old man was lightly-to-moderately- wounded by shards of broken glass while inside an apartment building in the town, according to the Magen David Adom ambulance service. Another man in his 20s was also lightly wounded by shrapnel in a different area of Sderot. They were both taken to Ashkelon’s Barzilai Medical Center for treatment. In addition, eight people were treated on the scene after they suffered panic attacks, including two pregnant women, MDA said. Videos and photographs from Sderot showed heavy damage to several cars and shrapnel riddling an apartment building. Police bomb disposal units were called to the scene and have closed off the area, a police spokesperson said. It was not immediately clear if the two men were injured by the impact of a Hamas rocket or by the remains of an Iron Dome interceptor missile. Earlier in the day, the military warned that it was anticipating a revenge attack by the Hamas terrorist group after two of its members were killed in an IDF strike on Tuesday. The rocket fire represented a major uptick in tensions along the border, amid intensive talks between Israel and Hamas for a long-term ceasefire. Such an agreement is meant to end not only rocket launches and shootings from Gaza but also the regular incendiary kite and balloon attacks from the Palestinian enclave that have burned large swaths of land in southern Israel and caused millions of shekels of damage. On Wednesday afternoon, shots were fired from the Gaza Strip at a number of civilian construction vehicles just outside the Palestinian enclave, causing damage but no injuries. In response, an Israeli tank shelled a Hamas observation post in the northern Gaza Strip, the army said. There were no immediate reports of Palestinian injuries. The engineering vehicles that were fired upon were being used to build an underground barrier around the Gaza Strip, which is meant to counter Hamas’s network of border-crossing attack tunnels. “Terrorists shot at civilian vehicles that were being used in the effort to construct the barrier around the security fence in the northern Gaza Strip. One vehicle was hit,” the IDF said. Palestinian media reported that shortly after the attack, IDF soldiers fired smoke grenades into the northern Gaza Strip, near the abandoned Karni Border Crossing. It was not immediately clear if this was in response to the shooting attack or if it was an unrelated incident. In addition, throughout Wednesday, at least 11 fires were sparked in southern Israel by airborne arson devices launched from the Gaza Strip. Israeli firefighters extinguished all of them, according to a spokesperson for Fire and Rescue Services. Earlier in the day, the military closed off a highway in southern Israel on Wednesday out of concerns that Hamas might open fire at Israeli vehicles. The military said the decision to close Route 25 and several smaller service roads near the border was made in light of recent threats by Hamas and after IDF soldiers saw that the terror group had begun abandoning several of its positions in the Strip — a move Hamas generally takes as a precaution against airstrikes before carrying out attacks against Israel. On Tuesday, an IDF tank shelled a Hamas observation post along the Gaza border, killing two of the terror group’s fighters, after soldiers nearby mistakenly believed shots had been fired at them. The army later confirmed that the gunshots were not fired at the soldiers, but were part of a Hamas training exercise inside the Strip. The IDF defended its decision to attack the observation post, telling the Haaretz newspaper that the shelling was justified given the information it had available at the time. On Wednesday, the military said it would work to prevent any attacks against Israeli citizens by Hamas. “The IDF will act to ensure the security of residents of the [Gaza] area and will not allow civilians and IDF soldiers to be harmed. The IDF is prepared for a variety of scenarios,” the army said Wednesday. Earlier Wednesday, rocket sirens sounded in Israeli communities adjacent to the Gaza Strip, sending thousands of residents running to bomb shelters in what the military later said was a false alarm. The alarm systems were triggered shortly before 10 a.m. in the city of Sderot and communities in the Sha’ar Hanegev region of southern Israel. The Israel Defense Forces did not specify what caused the false alarm. In the past, such events have been triggered by large-caliber gunfire near the border, which the military’s sensitive detection systems misidentify as rocket fire. Ali, 61, a former member of the Revolutionary Guards in the city of Amol, said: “Corruption is so high that it has penetrated everywhere. Another shopkeeper said: “Before, people who could not afford to eat meat were at least having bread and yoghurt. European Union, France, Britain and Germany say they will maintain economic ties with Tehran • Iran’s traditional trading partners Turkey and India vow to ignore sanctions • As Iranian economy continues to suffer, North Korean foreign minister in Tehran for talks. Many countries on Tuesday expressed their support for the Iran nuclear deal after Washington reimposed economic sanctions that had been lifted under the terms of the 2015 agreement. In May, U.S. President Donald Trump announced his withdrawal from the 2015 agreement, reached between Iran and six world powers in an effort to curb Iran’s controversial nuclear program. Under the terms of the agreement, Iran agreed to abandon much of its nuclear project in exchange for the lifting of crippling economic sanctions. On Tuesday, Trump reimposed the first wave of sanctions on Iran, with the second wave of sanctions expected in November. On Monday, Iran’s Foreign Minister Mohammad Javad Zarif said that Trump and his allies – Israel and Saudi Arabia – have become isolated by their hostile policies. 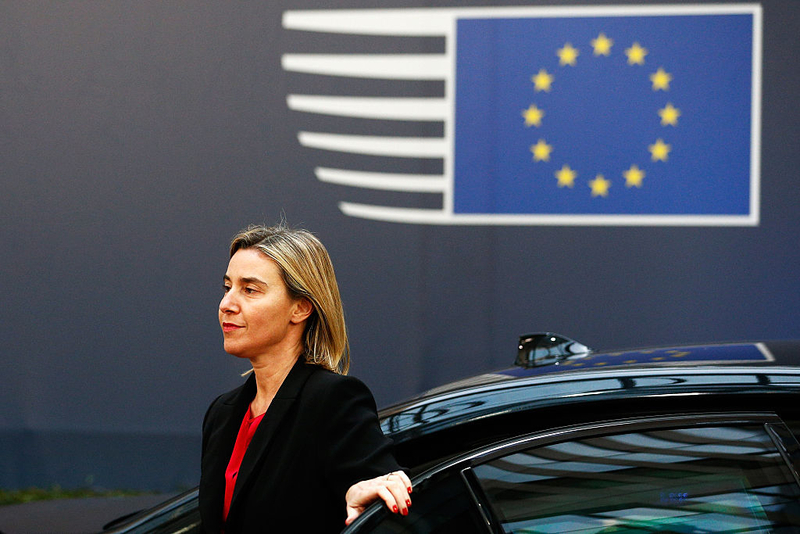 The United Nations said it would support countries who still favor the deal, while the European Union, Britain, France and Germany issued a joint statement saying they will maintain economic ties with Tehran despite the threat of American retribution. U.N. spokesperson Farhan Haq said Monday that Secretary General Antonio Guterres views the nuclear deal as a diplomatic achievement and stressed the importance of complying with its terms. Iran’s traditional trading partners Turkey and India also vowed to ignore the unilateral sanctions. Meanwhile, as Iranians awoke Tuesday to the reality of renewed U.S. sanctions, the question on everyone’s mind remained: What happens now? From deciphering Trump’s tweets on Iran – including one demanding “WORLD PEACE” – to trying to figure out how much their cratering currency is worth, Iranians appear divided on how to respond. The same goes for their theocratic regime, which, for now, is abiding by the nuclear accord. Iranian President Hassan Rouhani, whose administration struck the 2015 deal, has taken an increasingly confrontational line in recent weeks, applauded by hard-liners who had long opposed him. In a speech on live television Monday, Rouhani seemed to suggest that direct talks with Trump would be possible. Whether Iran will choose a North Korea-style photo-op with an American president who backed out of a deal with them, or abandon the unraveling accord and increase its uranium enrichment, remains a fiercely debated question in Iran. But everyone agrees something has to be done soon, as sporadic protests across the country of 80 million people only add to the pressure. The newly imposed American sanctions target U.S. dollar financial transactions, Iran’s automotive sector, and the purchase of commercial planes and metals, including gold. Even stronger sanctions targeting Iran’s oil sector and central bank are to be reimposed in early November. For now though, Iranians say they can only wait for the next Trump tweet or their government’s decision on how to respond. Will US sanctions really stop Iran from backing terror? Despite its dire economic situation, Tehran is likely to continue prioritizing militias and terrorist groups over its own people. Protests will continue erupting sporadically and the circle of demonstrators will expand, says Iran expert Yossi Mansharof. Will the economic sanction imposed by Washington on Iran cause it to abandon the path of terror? For the time being, as one expert told Israel Hayom on Tuesday, the answer appears to be no. “To understand the influence of sanctions on the Iranian regime’s behavior, you must first understand the modus operandi of Iranian banks and the Revolutionary Guard Corps,”explained Yossi Mansharof, a researcher of Iran and Shiite militias at the University of Haifa’s Ezri Center for Iran and Persian Gulf Studies. “More than a few Iranian banks were included in the sanctions that were in place before the nuclear deal in 2015, because they were involved in money laundering for the Revolutionary Guards. Over the past six years, several European banks have been fined billions of dollars by the American authorities after admitting to helping the Iranian regime bypass the sanctions and launder billions of dollars,” he said. “The method that keeps recurring in Iran is the use of straw companies, which the U.S. authorities keep trying to expose, just as we saw in the United Arab Emirates recently. The U.S. administration still has its work cut out for it in this department, it appears,” Mansharof said. Remark comes in response to stated U.S. plan to reduce Iran’s oil exports “to zero” • U.S. President Donald Trump warns: Iran must change its destabilizing behavior and reintegrate with the global economy, or continue down a path of economic isolation. A U.S. plan to reduce Iran’s oil exports to zero will not succeed, Iranian Foreign Minister Mohammad Javad Zarif was quoted as saying by an Iranian newspaper Wednesday. Iranian President Hassan Rouhani hinted last month that Iran would block the Strait of Hormuz, a major oil shipping route, if the U.S. attempted to disrupt the country’s oil exports. Meanwhile, Trump’s National Security Adviser John Bolton said Tuesday that U.S. sanctions that went into effect at midnight Tuesday, are meant to pressure Tehran’s government into retreating from its support for international terrorism, its military activity in the Middle East and its ballistic missile and nuclear-related programs. The first set of sanctions reimposed by the U.S. Tuesday target financial transactions involving U.S. dollars, Iran’s automotive sector, the purchase of commercial airplanes and metals, including gold. Additional sanctions on Iran’s oil sector and central bank are set to be reinstated in early November. In a morning tweet, Trump said the reimposition of sanctions means that “anyone doing business with Iran will NOT be doing business with the United States. The stiff economic sanctions ratchet up pressure on Iran despite statements of deep dismay from European allies. Trump said the landmark deal left the Iranian government flush with cash to fuel conflict in the Middle East. A senior administration official, briefing reporters under ground rules requiring anonymity, said the United States was “not particularly concerned” by EU efforts to protect European firms from the sanctions. White House, Arab officials cite congressional elections in November, possible Israeli elections in early 2019 as reasons for delay • Trump administration seeks staff for Middle East policy team under point men Jared Kushner and Jason Greenblatt. A White House source and senior Arab officials on Thursday said the Trump administration was postponing by several months the rollout of its so-called “deal of the century” to end the Israeli-Palestinian conflict. The U.S. official said the administration has already decided not to present the peace plan before the congressional mid-term elections on Nov. 6 because certain components of the plan call for Israeli concessions and could harm Republican candidates’ election bids. The official also said that if Israel goes to elections after the Jewish holidays this September, then the administration would postpone the peace plan even further, as Prime Minister Benjamin Netanyahu would not be able to adopt certain aspects during an election campaign. Israel’s next election is scheduled for November 2019. But a single party could force early elections by withdrawing from the government coalition. Due to the wide range of views among the coalition parties, Israeli governments rarely complete a full term. Announcing the peace plan during an Israeli election campaign “would play into the hands of [Habayit Hayehudi Chairman Naftali] Bennett and the administration understands this,” the official said, referring to the politician deemed Netanyahu’s chief rival for the premiership. “During an election campaign, Netanyahu wouldn’t be able to say ‘yes’ to such ideas. On the other hand, he also can’t say ‘no’ to [President Donald] Trump. It appears, therefore, that the sides would rather play it smart and simply wait until the elections are over, in the U.S. and in Israel,” the official said. If Israel does not hold elections this year, a window of opportunity for unveiling Trump’s Middle East peace plan would be opened. Senior Arab officials confirmed to Israel Hayom that the peace plan will likely be delayed by several months, because of assessments in Egypt and Saudi Arabia that Israel will hold elections in early 2019. The officials said that regardless of the possibility of elections in Israel, the leaders of moderate Arab states, chief among them Saudi Arabia, Egypt and Jordan, sent a joint message to the White House, saying they preferred to wait for the Congressional elections in the U.S. to conclude before the peace plan is presented. Meanwhile, U.S. officials said Thursday that the Trump administration was staffing up the Middle East policy team at the White House in anticipation of unveiling the still largely mysterious peace plan. Last week, the National Security Council began approaching other agencies seeking volunteers to join the team, which will work under Trump’s Middle East peace point men, Jared Kushner and Jason Greenblatt, the officials said. The team, which will organize the peace plan’s public presentation and any negotiations that may follow, is to be made up of three units: one concentrating on its political and security details, one on its significant economic focus and one on strategic communications, the officials said. The establishment of a White House team is the first evidence in months that the plan is advancing. Although Trump officials have long promised the most comprehensive package ever put forward to resolve the conflict, not even a small detail of the emerging plan has been offered by Kushner, Greenblatt or any other official. The State Department, Pentagon, intelligence agencies and Congress have been asked to detail personnel to the team for six months to a year, according to the officials, who spoke on condition of anonymity. White House officials say the plan will focus on pragmatic details, rather than top-line concepts, in a way that will help win public support. The Palestinian leadership has been openly hostile to any proposal from the Trump administration, saying it has a pro-Israel bias, notably after Trump recognized Jerusalem as Israel’s capital in December and moved the U.S. embassy there from Tel Aviv in May. Since the Palestinian Authority and its President Mahmoud Abbas broke off contact after the Jerusalem announcement, the U.S. negotiating team has been talking to independent Palestinian experts. Palestinian alienation has continued to grow as millions of dollars in U.S. assistance remains on hold and appears likely to be cut entirely. With just two months left in the current budget year, less than half of the planned $251 million in U.S. aid planned for the Palestinians in 2018 – $92.8 million – has been released, according to the government’s online tracker, http://www.foreignassistance.gov. In addition, Israel’s response to the plan is far from certain. Although Netanyahu is one of Trump’s top foreign allies, it remains unclear if he will back massive investment in Gaza, which is run by the terrorist Hamas movement.